B.B. King first learned music from the African American churches of the Mississippi Delta, says Daniel Silliman. "Church was not only a warm spiritual experience," the legendary bluesman once said, reflecting on his religious childhood says Silliman writing in The Washington Post after King died aged 89 on May 14. "It was exciting entertainment. It was where I could sit next to a pretty girl and mostly it was where the music got all over my body and made me wanna jump," said King. U.S. President Barack Obama who sang with the blues legend on the stage in 2012, said, "B.B. may be gone, but that thrill will be with us forever. And there's going to be one killer blues session in heaven tonight." Charles Shaar Murray writing of B.B. King in The Guardian said, "Very few 20th-century musicians were able to combine the roles of game-changing, creative, innovative virtuoso and beloved popular entertainer." 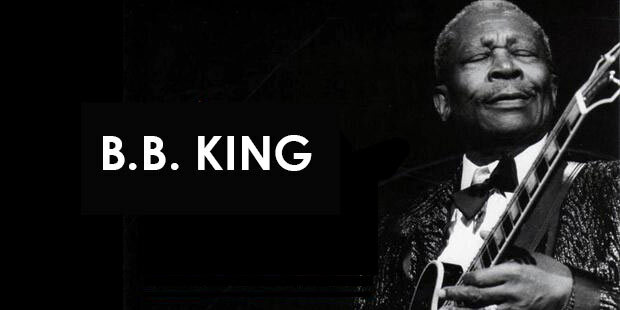 "Within this tiny elite group, BB King ranks second only to the late Louis Armstrong, who not only charmed the world with his jovial, winning personality but virtually invented the concept of the jazz soloist, and on whose broad shoulders all successors stood. "Who else is there? Bob Marley, Stevie Wonder, Frank Sinatra and, of course, the Beatles in general and Paul McCartney in particular," says Murray. But for King who died May 14 at age 89, in interviews over the years, he talked about how his first experiences with music were connected to church. "He also talked about how his relationship to church was deeply conflicted," writes Silliman an instructor of American religion and culture for the Heidelberg Center for American Studies at Heidelberg University. He notes that as the son of sharecroppers in Itta Bena, Missssippi, at the age of four King started singing spirituals with his mother, at around the time his father left the family. His mother who wanted him to grow up to be a preacher, but she died by the time he was nine. The man who became known as "The King of Blues" not only talked about how his first experiences with music were connected to church, but also about how his relationship to church was deeply conflicted says Silliman. Although the King family had been Baptist, the Church of God in Christ drew him because of the music. "Baptists' musical tastes were more staid, more traditional than the young King liked, however." Silliman quotes King saying in an interview with the National Endowment of the Humanities, "If you were in the Baptist church, they didn't want you to bring a guitar in ....So I didn't really dig the Baptist church too much." However the Church of God in Christ pastor played a Sears Roebuck Silvertone guitar. The Rev. Archie Fair led church with his guitar. "The church was a part of a strict sect of Pentecostals, who believed true Christians could live free from sin, 'sanctified.' In some ways, the Church of God in Christ was more conservative than the Baptists. But not when it came to music. King thrilled to the church's worship style." But Silliman says King became frustrated with religious audience as when he played for church people, they would say "God bless you," but wouldn't pay him. "People that would request a gospel song would always be very polite to me," King recalled in 1999. "And they'd say, 'Son, you're mighty good. Keep it up. You're going to be great one day.' But they never put anything in the hat." King stopped playing religious music when he was drafted into the Army in 1943. Silliman notes, King was done with church music and "even done with Christianity." "King didn't find his way back to church in his later years. He remembered the Church of God in Christ fondly, and said in interviews that "the sanctified people are the singingest people."